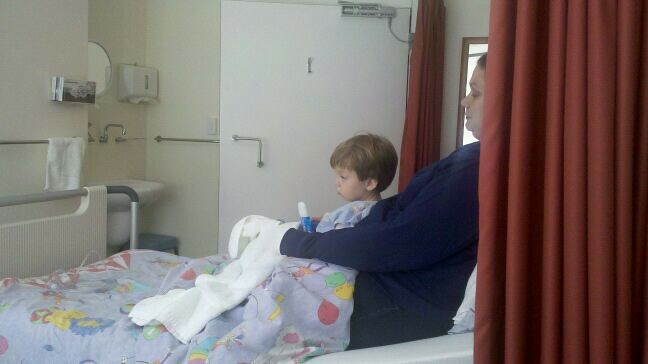 Yesterday Te Po Atarau had his tonsils and adenoids removed as well as his right ear drained. He came through the operations fine and stayed in overnight to sleep off the anaesthetic but is coming home today. Here is a quick picture I snapped with my phone of him trying to eat an ice block but mostly just falling asleep.